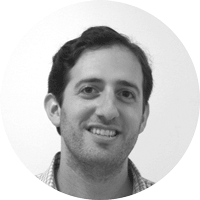 Jonathan Lehr (Founder/Lead Organizer) is Venture Director of Work-Bench, where he focuses on early stage enterprise tech investment. Jon founded the NY Enterprise Technology Meetup in January 2012 as a way to generate momentum for the enterprise tech ecosystem in New York, with a focus on connecting entrepreneurs, Fortune 500 technologists, investors, and students to network and learn from one another. Prior to Work-Bench, Jon worked at Morgan Stanley on their Technology Business Development team in IT. A large part of his daily responsibilities involved partnering with internal technology clients to facilitate the selection and on-boarding of emerging technology vendors. In this capacity, he remained on top of trends in the enterprise IT market and evaluated new offerings from startups in areas such as big data, mobile, business intelligence, security and consumerization of IT. He has written guest posts for both The Next Web and PandoDaily. David Raviv (Co-Organizer) began his career as an unmanned airplane pilot in the Israeli Air force. He decided to then take his talents to Canada to pursue an undergraduate degree in Computer Science, and a Master in Business Administration. He then became an early employee of the Herjavec Group, a leading enterprise software security reseller. David was responsible for sales and business development, and was a key piece of the companies growth from a few hundred thousand dollars in revenue to well over fifteen million dollars. He then relocated to the US and has worked at various start-ups including Proofpoint Inc., Code Green Networks, and Fishnet Security. Along with enterprise technology and startups, he loves anything that comes with a remote control. Rubi Gaddi (Co-Organizer) is an Executive Director at a bulge bracket investment bank where she currently manages the Vendor Risk Assessment practice. She is responsible for the development and operations of the vendor financial assessment practice globally. She joined the firm in 1998 and has worked on a number of areas throughout the firm including Technology and Operations Audit, IT Business Management and the Strategic Sourcing Group. She has worked as an Audit Manager with a number of financial services firms including UBS, Credit Suisse and JP Morgan Chase and was responsible for operational and financial audits, technology, security and application reviews. 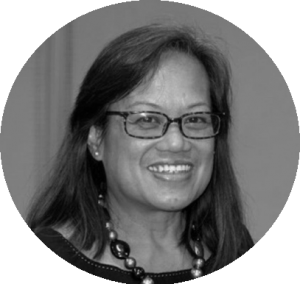 Early in her career, she started as an applications developer for front office systems at Prudential Securities. Rubi attended New York University where she earned a Diploma in Information Systems Management. She also has an undergraduate degree at Marymount College and majored in Management and Finance. 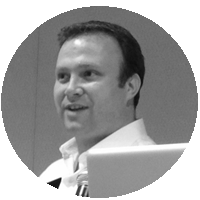 Ian Ellis (Co-Organizer) is a Vice President in the Technology Business Development at a major US bulge bracket bank. In this role, he is responsible for leveraging the insights & expertise of their world class Technology division to assist with client business development. In addition, Ian focuses on growing strategic partnerships with key technology partners, venture capital firms and innovative emerging technology companies. 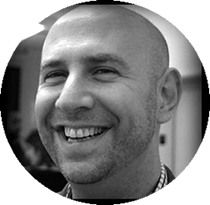 He is based in London, but works globally with the team, having previously worked in New York from mid 2010 to mid 2012 and also run the Firm’s Technology Business Development practice in Europe. He holds a BA in Economics & Information Studies from University College Dublin and an MSc in Analysis, Design & Management of Information Systems (with distinction) from the London School of Economics, where he now serves as an Associate of the Department of Management.